Join us in raising funds and awareness for United Hatzalah of Israel. We are doing this In Honor Of Sruli's Bar Mitzvah . I knew you loved me even before you visited this page, but now that you're here...let's show some of that love and celebrate my Bar Mitzvah together by supporting United Hatzalah, an incredible organization that provides the fastest and free emergency medical first response throughout Israel. Please join us raising funds for outfitting one volunteer for one year. Afford him the equipment, supplies, training courses and other expenses he needs to simply save lives. It's a great investment. Hatzalah volunteers are among Klal Yisrael's most loyal workers. Any amount you give brings us closer to our goal and will help save more lives. I look forward to celebrating with you soon in Yerushalayim! 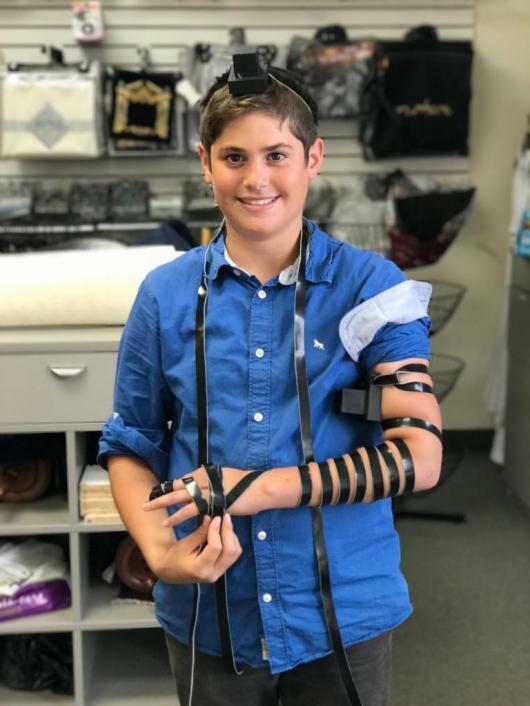 Mazel tov Sruli! Keep making us all so proud of you! Sruli mazal tov on your bat mitzvah!! !